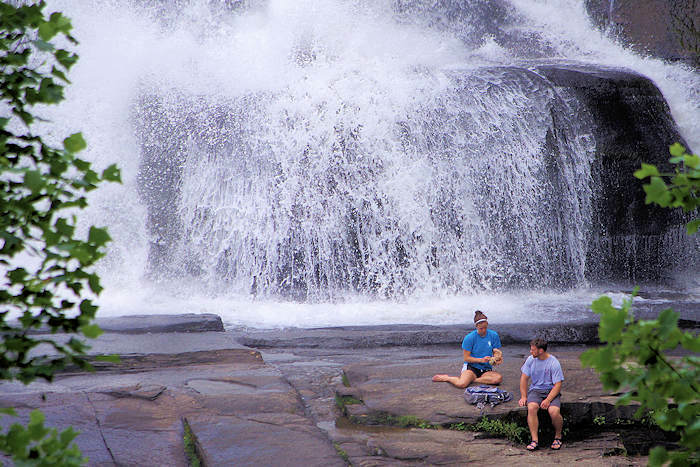 Find the best waterfalls along the Blue Ridge Parkway in North Carolina near Asheville, either directly on the Parkway or within a 10-mile detour. All are free to visit, but most are a bit hidden since they are not signed or found via maps or GPS. So, see our full guides for each by clicking on the listings below. Photo above is Crabtree Falls. 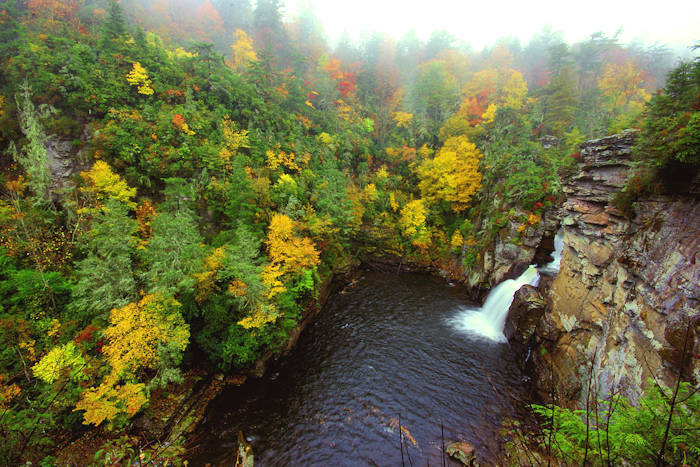 MP 316.3: Linville Falls with hikes to four vistas. 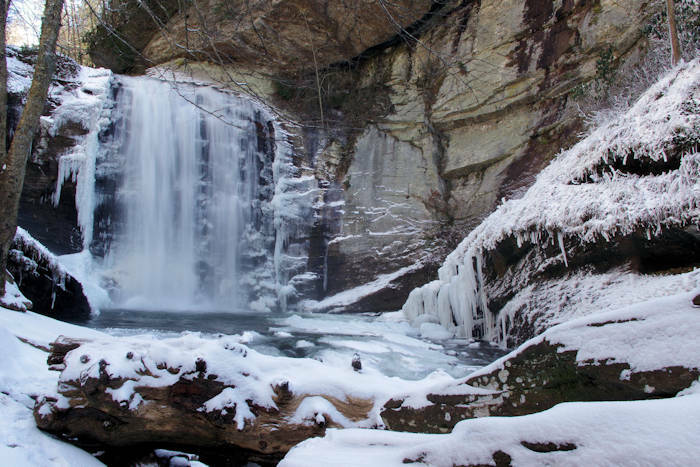 MP 339.5: Crabtree Falls via 3-mile roundtrip hike. MP 344: Detour on NC Highway 80 for Roaring Fork Falls and Setrock Creek Falls. MP 334: Exit at Little Switzerland for a hike to Grassy Creek Falls. MP 362.1: Glassmine Falls, viewed from the overlook. MP 412: Detour south on US Highway 276 to Log Hollow Falls (6.2 miles) and Looking Glass Falls (10 miles). MP 417: 1/2-mile hike to Skinny Dip Falls, a popular summer swimming hole. MP 418.8: Short hike to Second Falls at Graveyard Fields. MP 423.3: Exit on NC Highway 215 for 4.6 miles to Dill Falls. MP 455.7: Go one mile on U.S. Highway 19 for Soco Falls near Cherokee. 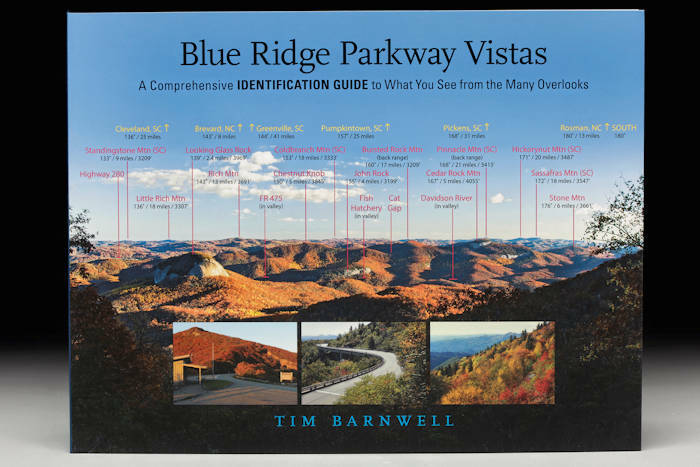 For more information about planning a trip, go to our Blue Ridge Parkway Guide.